This week was a shorter than usual week for me, because I took off Wednesday from work because of the Taylor Swift concert on Tuesday night. It was totally worth it - the show was incredible! 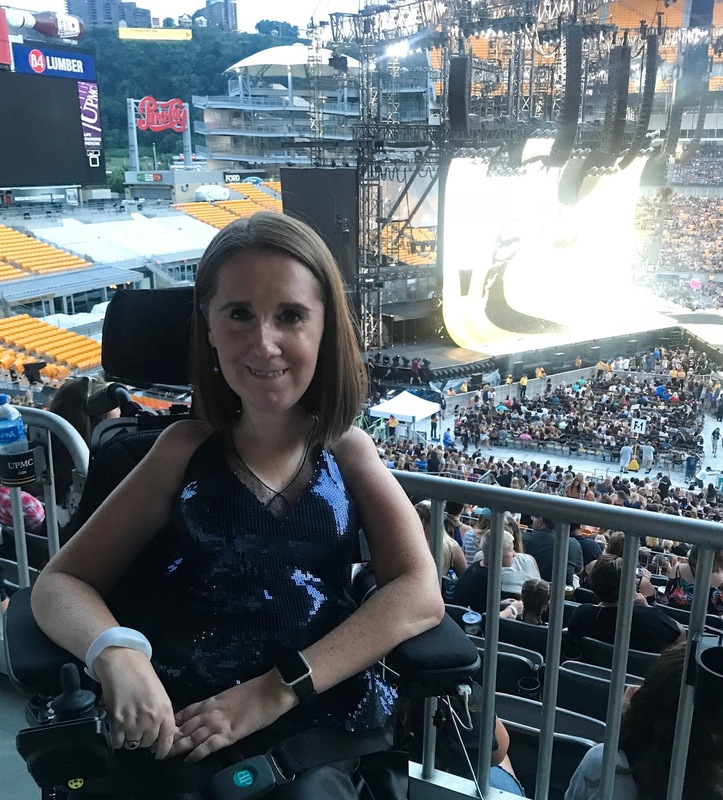 I know there were some complaints (months ago) over the way she used the Ticketmaster Verified Fan process for ticket purchasing, but from my perspective, it worked out really well - it was the only time in the last year that I haven't had issues buying accessible seats on Ticketmaster! I had a great view of the stage, and also spotted the ASL interpreters for the show. I was really impressed by how seamless the inclusion was. Now, onto my favorites from the past week. My childhood dog was a pug - yes, the dog with the really smushed nose and curly tail - and I'll always have a soft spot in my heart for pugs. So obviously, I love this Buzzfeed article with super cute pictures of pugs dressed up for National Pug Day! I cannot believe that Legally Blonde 3 is actually happening, and I'm so excited. I love the movies and I love the musical, and I can't wait to see what Elle and Bruiser are up to now. Are any of you looking forward to this too? This is a fantastic article about physicians (and others in the medical field) working with disabilities. To me, the benefit of having doctors with disabilities seems obvious. They bring a fresh perspective - who better understands how to improve the medical field than someone who has a lot of experience utilizing it? Who better to understand the needs of patients than someone who has been a (possibly frequent) patient themselves? I'm so glad to see that the field is becoming more open to practitioners with disabilities. I buy almost all of my makeup from Sephora, and I've accumulated quite a few Beauty Insider points. I don't redeem them often, honestly, because I'm never sold on the Rewards that they're offering. So I'm interested in seeing what changes they end up making to the program, and if there are rewards that I'm more interested in redeeming points for.